Elitex - Multi-purposes WooCommerce WordPress theme - The fresh and multi-feature theme is one of the best choice for your collection. We applied most of special features to make sure that it will run perfectly on all browsers and be responsive smoothly. 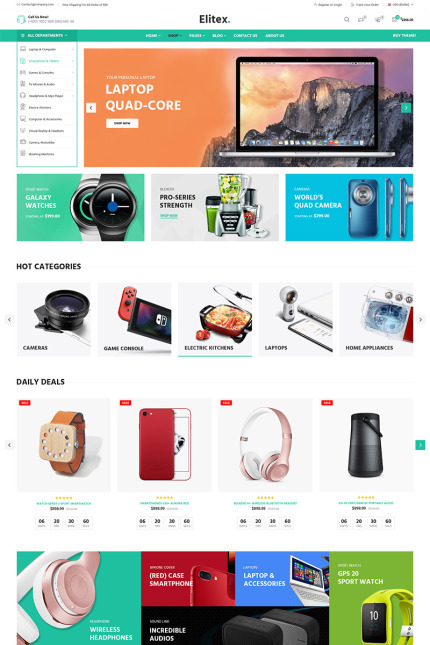 Elitex - Multi-purposes is especially suitable for Mobile store, Digial store, Electronic store, Laptop & Computer store, Appliances shop, Accessories store,… websites. You can customize it very easily to fit your needs.